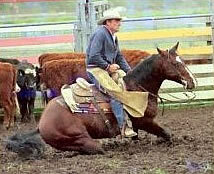 Colonel Pep was bred by Fred Johnson (Australia) by Cuttabars Colonel out of Bit of Pep. He was imported to NZ by Nolan Fyers. After his showing career his breeding career was cut short due to a paddock accident in 2001 when he had to be put down. SIRE OF OUR FOUNDATION MARE ROYAL PEPPY. LITTLE PEPPY DOC (IMP) was bred by Stu Gildred, of California USA and was by one of the NCHA Leading sires PEPPY SAN BADGER. 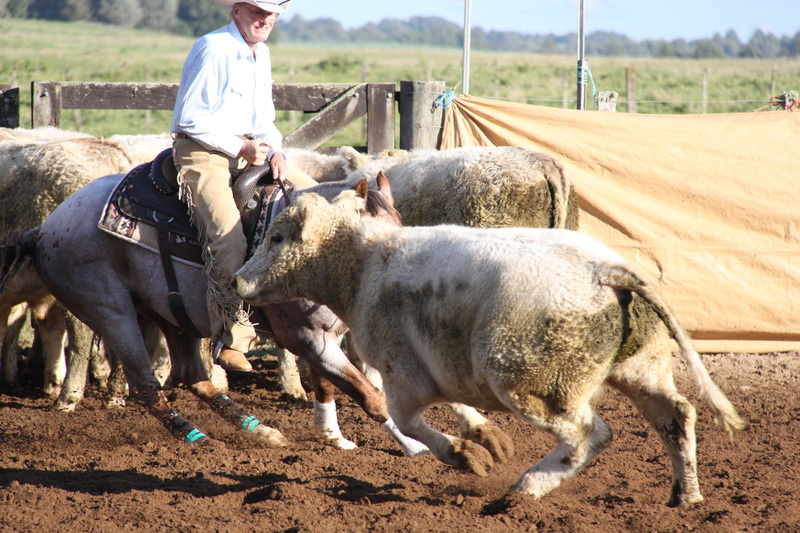 His dam was the Doc Bar/Poco Tivio cross DOC’S CHELO. He was born March 1, 1980, and was purchased by well-known horseman Art Shahan (manager of the horse programme at the San Jose Cattle Company) for his friend Mrs Barbara Anthony in 1981 to go to Australia to stand at her Winderadeen Quarter Horse Stud. He arrived in Australia as a yearling and was broken in at Winderadeen. 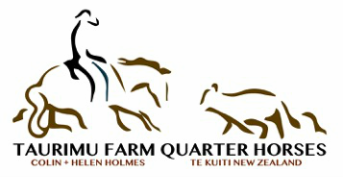 His first show was the NCHA Futurity at Kooralbyn in 1983, where he wowed the crowd with his first unbelievable run, dynamic enough to win the first go round. He damaged a tendon in this run but still managed to show in the final, shown by his trainer Joe Davis. He earned an AQHA Superior Cutting Horse award, with 74.5 cutting points from limited showing, and his wins included the Pacific Coast Cutting Classic in 1985 at Cobbitty. In his limited cutting career, he earned $9,520.93. Peppy had a ton of personality, and I remember that he would stand tied to the walker (the one with the arms) saddled waiting to be ridden. He would turn around and play with the stirrup and eventually would get it caught in his mouth. Did he go berserk? No – he would stand there and cry for someone to come and take it out. Did it stop him playing with it? No – we had to tie the irons on top of the saddle if he was tied on the walker. He did not like to get too tired, and you would lope him around the large front paddock two or three times before he worked cattle, and after the first 100 meters you would have to kick him the whole way round as he was “tired” – tired until, of course, he was put in front of a cow, and then he just loved to play! He was truly a unique individual. 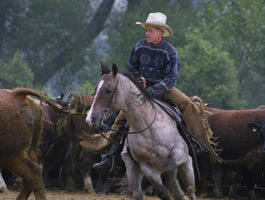 As a sire he proved outstanding, with 200 foals earning 11,718 AQHA points. For his breeding life, this was only just over 12 foals a year sired by him. 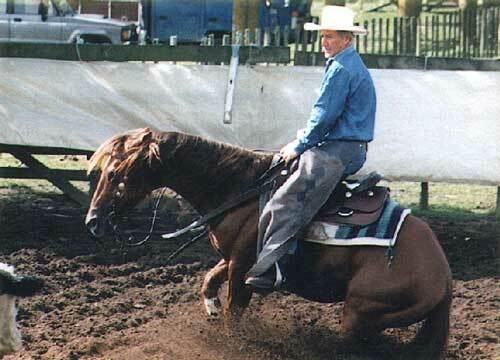 In fact he was the AQHA Leading Sire of Performance Horses for 1992, 1993, and 1994! 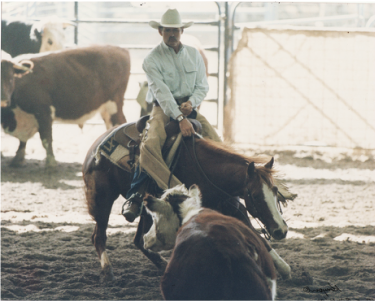 Some of his offspring include WINDERADEEN PEPPYCOSE, one of the leading point earners in AQHA and an AQHA Hall of Fame inductee. Peppycose was an outstanding performer in Halter and Performance classes, both Amateur and Open; GOLDEN PEPPER, earner of 1642.5 points was another outstanding Halter, Open and Amateur performer; PEPPY CUTTER, one of his earlier drop of foals, was the High Point Western Pleasure Horse for Australia and won many State and National Championships; LITTLE CUTTER KELLY (NCHA earnings $28,681), an outstanding Cutting horse, as was PEPPYS DART (1990 NCHA Supersires Non Pro Futurity Champion and $16,271 earnings); LOOK OUT PEPPY 1991 NCHA Supersires Derby Champion and PEPPYS LITTLE JET, earner of over $25,000 in NCHA earnings; WINDERADEEN GET SHORTY, NCHA earner of over $25,000 and siring some outstanding cutters himself for Erin Park. 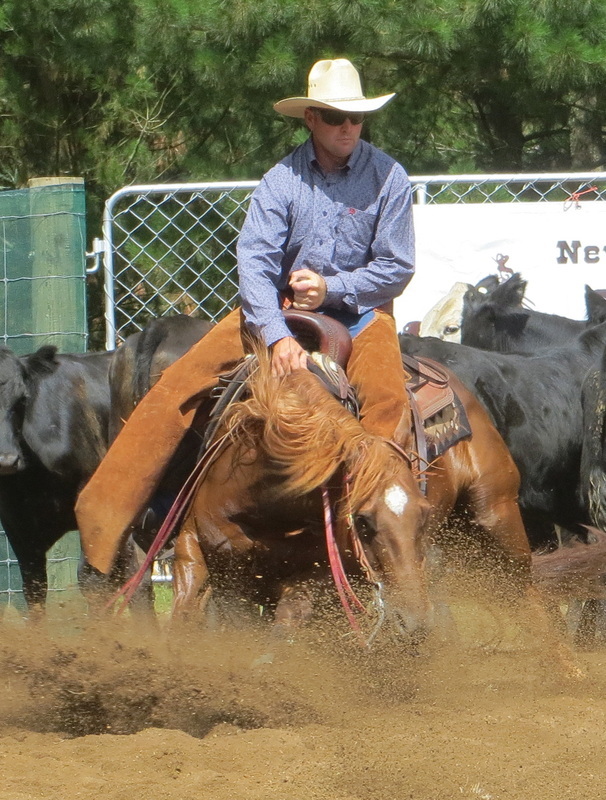 He had numerous horses that were just top performers – DR PEPPER, WINDERADEEN LISAJET, WINDERADEEN ISAPEPPYJET (an AQHA Champion as well as an outstanding cutting horse), PEPPYS ART. Reiners the calibre of WINDERADEEN. FULL OF STYLE, WINDERADEEN IMALITTLECHICK and WINDERADEEN A LITTLE LACE ( Victorian Futurity and Derby Champion) -the list goes on. Peppys’ foals were mostly very pretty to look at, and could be very cheeky as well! His cutting offspring earned a total of $223,759.46. As a broodmare sire, LITTLE PEPPY DOC has shown that his genetics is superior. GAY BAR MINNIE ,a half-sister to the well performed BINGO’S MELODY and INSTANT SUNSHINE (both by Beggar Bingo) was an outstanding performer. She competed at the NCHA Cutting Futurity (and actually has $30 in NCHA earnings) but this did not appear to be her forte, so she started being shown in the Western Pleasure classes. 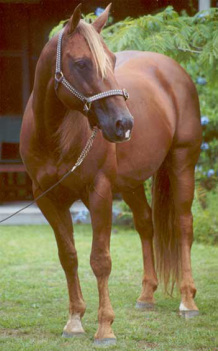 She won the Senior Western Pleasure class at the Nationals four times, as well as the Youth Pleasure (shown by Georgie Crick), she was 1994 High Point Western Pleasure Horse for Australia and Runner Up High Point Western Riding horse as well. She was just a great arena performance mare. As a broodmare, she has been super- her first foal was GAY BAR BLUES, who was a super Amateur and Youth horse (by Blue Denim Zipper) and earned 589 points before his untimely demise; WINDERADEEN GAY CEE BARS, the best pleasure horse of her era (and dam of NPHA Champions WINDERADEEN SOMELIKITHOT and WINDERADEEN CEILIKITHOT); WINDERADEEN. 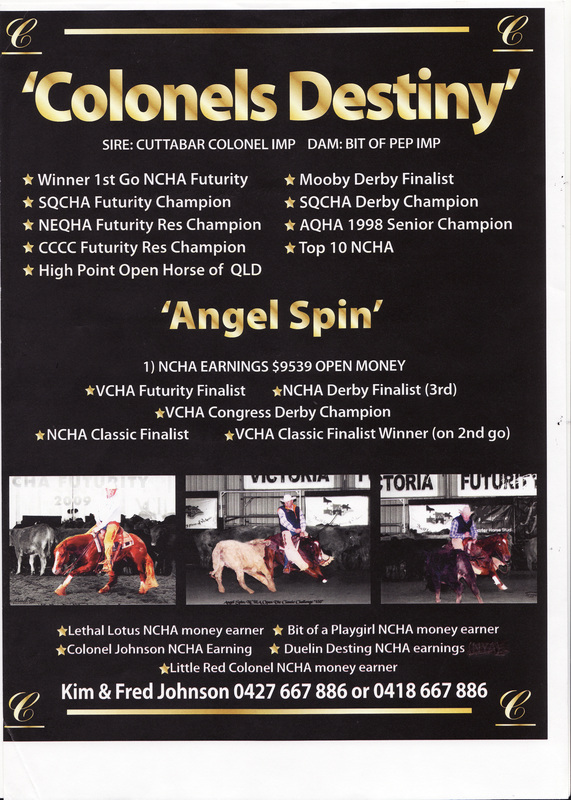 GAY CEE GOLD an NPHA 2 Year Old Champion and dam of the NPHA 2 Year Old Champion RRD SOMETHIN TO CEE; WINDERADEEN GAY BAR MICKY with 595 points....in fact GAY BAR MINNIE has had 12 foals , all point earners with 3,506.5 points between them, a fantastic production. WINDERADEEN JUST A DREAM is another of his mares to produce outstanding performance horses. 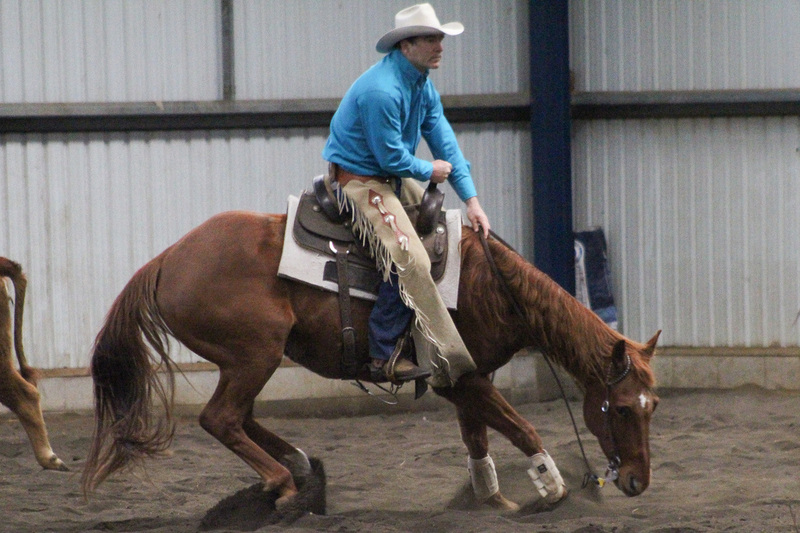 WINDERADEEN PEPPYS EVE (owned by the Crick Family) was a great Youth and Amateur horse, and is the dam of Katastic, shown at the NCHA Futurity in 2011 and earner of $12,694 so far. LITTLE PEPPY DOC went sterile in 1999, and spent the rest of his life in a beautiful pasture, with trees and a shed and a couple of retired broodmares for company until the end of 2009.